Here’s how we evaluate every item we receive. Our gold pricing is based on the world market benchmark: the latest posted afternoon London Fix. This means you are guaranteed to get the best prices for gold when you sell your jewelry with us. We use the London Fix to set our cash-for-gold prices because it’s the least volatile and most consistent standard for gold valuation, enabling us to apply the exact same pricing to every shipment received on a given day. Through this method, we’re able to offer our customers the best prices for gold and other unwanted jewelry. Our prices are quoted in U.S. Dollars ($ USD) per pennyweight (dwt). A pennyweight is 1/20th of a troy ounce, approximately 1.555 grams. To convert grams to pennyweight, divide the gram weight by 1.555. When you sell your jewelry to us, you know you’re getting the best deal. For the latest prices, simply refresh this page. We update it daily at 11 am ET. In some instances, the publishing of the London Fix is delayed. We’ll update this page as soon as the new rates are available. The London Fix is not updated on weekends or UK holidays. 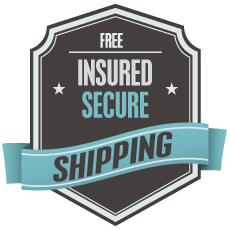 All prices paid are based on the market price set on the day your shipment is received. Use this page to estimate how much we would pay you based on today’s market price. Remember to bookmark this page to check back on the value of your precious metal items and ensure you’re getting the best prices for gold and other unwanted jewelry. I was actually a bit nervous about selling my gold but I’m so glad I did it. The process was incredibly easy and I would definitely tell my friends not to sell to any of those places you see on TV or in the strip malls and to go with Ross-Simons, an established respectable company with an excellent track record. Thank you.